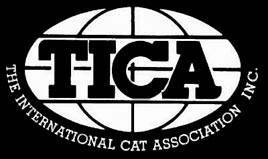 All of our Ragdolls are TICA and CFA registered with pedigrees, negative for HCM, PKD, MPS VI, FeLV, FIV, and are regularly vaccinated. Bee Cave Ragdolls is a small, home-based, cage-free cattery, which breeds and shows purebred, pedigreed Ragdoll cats. We are located in the heart of the Texas Hill Country in Central Texas. Our Ragdolls are part of our family and live with us in our home. They are treated as such, receiving constant love and affection from us. We place great emphasis on breeding Ragdoll kittens from excellent lines to maintain their outstanding health, temperament and beauty. Our cats come from the best lines in the world, including the USA, Europe and Australia. We spend lots of time with our kittens to ensure they are well socialized. We welcome visitors to our home and work with customers to find the perfect Ragdoll kitten for them. Ragdolls are an amazing breed of cats that are docile and enjoy human companionship. Some have described them as dog-like as they will follow you around the house and love being with you. They got the name of Ragdolls because of their tendency to go limp when you hold them. Most are wonderful lap cats. All of our cats are traditional colors including seal, blue and red. Bee Cave Ragdolls has a wide variety of patterns with our Ragdoll cats including colorpoint, mitted and bicolor, as well as lynx and tortie markings. We pride ourselves on maintaining the highest standards as a Ragdoll breeder.